Can Ronnie Dunn get a big hit without Arista? 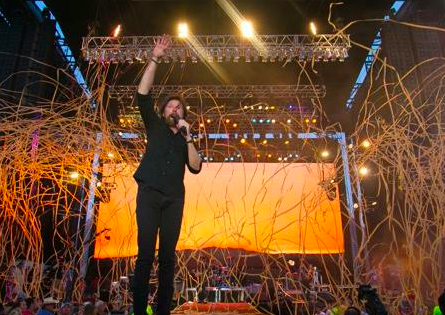 Ronnie Dunn has broken away from Arista. He had been with the label for more than 20 years and he was looking for a change. Now it seems like Ronnie is a man on a mission. He’s been doing some writing online. He’s been active in social media. He’s also been releasing new music straight to the fans. It sounds like this one is the first official single. The lyrics are country as they always are with Ronnie. He knows how to write a good country lyric. What stands out most about this one is the difference in the sound. Ronnie’s great voice is there front and center, but there is a modern twist on the sound and it’s pretty cool. It’s a country love song, but there is more depth in the sound. It’s not pop. I think it’s country, but it’s a little bit of a monster ballad with the way it sounds. I think people are going to like this one. The first time I heard it was in the car. I wasn’t sure about it then, but now I think it sounds like a for sure hit. Ronnie seems determined right now to make a mark on his own with a new label. The man is driven and I’m sure he’ll succeed just as he has for the last 20+ years.